A black woman suffered severe dog bites to her extremities in September after St. Paul, Minn., police mistakenly allowed a police dog to attack her earlier this year. She filed a federal lawsuit against the Police Department and the officer this week. 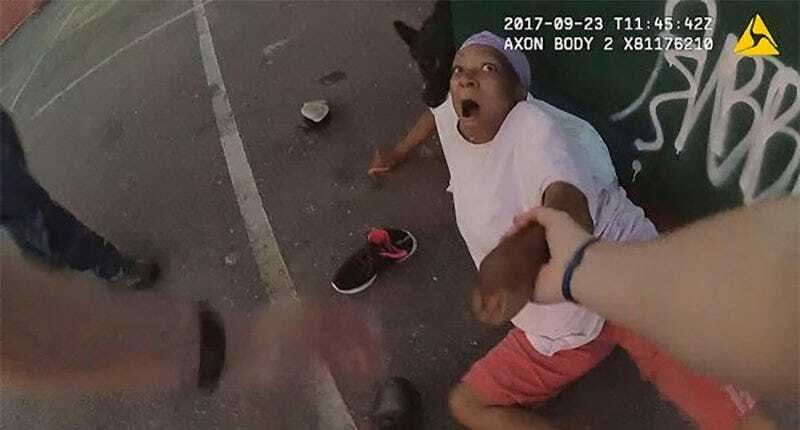 Fifty-two-year-old Desiree Collins was taking out the trash on the evening of Sept. 23 when a police dog attacked her outside her building, biting her arms and leg, Raw Story reports. Police say they were looking for a burglary suspect. “You’re fine, you’re fine,” one of the officers kept saying, according to the Washington Post, as Collins screamed in surprise and pain. “What did I do?” Collins asked incredulously after the officers were able to subdue the animal. What happened to Ms. Collins was a terrible accident that should not have occurred. I am sorry it happened and that she was injured. As a department, we wish we could go back and do things differently. Unfortunately, we can’t. What we can do is apologize and take responsibility, offer support and compassion and learn from the incident so we can continue to work to prevent it from happening to anyone else. According to Raw Story, the officer being sued, Thaddeus Schmidt, was responsible for the dog that attacked Collins. Schmidt was given a one-day suspension for the dog’s leash being too long and for not yelling out proper warnings about the dog. Read more at Raw Story and the Washington Post.